This ‘challenge’ has been targeted at children and young people through social media by people presenting as Momo, a doll with a frightening appearance. The doll encourages them to add a contact on messaging service WhatsApp from an unknown number. Once contact is made, children are potential recipients of images and messages purportedly ranging from threats to dares that encourage them to self-harm or even to commit suicide. Although seemingly known of in other parts of the world since last year, it now appears to be making its way across the UK. Momo has been associated with multiple platforms used by young people, including Youtube, Kidstube, Instagram, Facebook and WhatsApp. It is understood the original artwork used by the hackers has been taken from a designer in Japan who has no connection with the Momo challenge. Remember parental control tools are not always 100% effective. Unsuitable content can sometimes get past them, so don’t rely on these alone to protect your child. The advice from Hampshire Constabulary is that parents should be mindful that raising awareness of a particular app or game may potentially stimulate further interest and encourage a child to want to find out more about it. Parents will, therefore, want to think carefully about how they wish to manage such a situation. Please refer to the Safety First section of our website (Parents tab) where a wealth of information on keeping young people safe online can be found. Make sure that if your child has found out about Momo through direct messaging, such as from an unknown contact on WhatsApp, that this number is blocked. Remind them that they should never communicate online with anyone who they do not know and remind them to keep talking to trusted adults about any concerns. The NSPCC publishes advice and guidance for parents on discussing general online safety with their children, as well as promoting Net Aware, a parental guide to social media and gaming apps. Similarly, the CEOP site contains a wealth of advice and guidance for parents and CEOP’s education programme ‘ThinkuKnow’ aims to empower young people aged 5-17 to identify risks they may face online and so how to stay cyber-safe. Thank you to our staff, many of whom went to extraordinary lengths to get into school this morning in very challenging weather conditions. A number braved considerable distances and we even organised a pick-up service from Fleet station for those who, unable to come by road, came in, instead, by train. Well done also to those very many students who got to school in good time, sensibly dressed and who, despite the excitement of a snowy campus, have maintained a very focused attitude to learning and responsible behaviour during social times. We do, however, have to express our disappointment that around 20% of students, many of whom live well within walking distance, were not encouraged by their parents to make the effort to get here, despite the later start. We will be out and about in the community this afternoon to reassure ourselves that students who have been unable to walk to school have been similarly unable to make it to the park or the town centre! Hopefully, the snowy weather will now continue to clear rapidly but, should it persist, we wish you plenty of wintry fun over the weekend. We have recently received some communications from members of the public regarding inconsiderate behaviour by a small number of our students when en route to or from school. An elderly gentleman was clearly shaken when he called to report that a CPS student had stepped out in front of his car whilst he was approaching the roundabout between our school and the leisure centre. The student was wearing headphones and was not paying attention as he crossed the road, so putting himself at risk and also causing anxiety to the driver. Also on Hitches Lane, a younger student was not taking care when walking towards Elvetham Heath roundabout at the end of school. In spite of ringing her bell several times, a lady was unable to pass a group of our students who were standing in the cycle path, chatting. When the students eventually moved to allow her to pass, one made an unkind comment, which was clearly audible to her. At the end of school, a student who was cycling too fast, came off his bike which collided with a buggy that a lady was pushing. Her small child suffered a bump to the head. The vast majority of our students have started the new year properly equipped and dressed for the business of learning. They look smart and their presentation reflects the very positive learning atmosphere in the school. There are, however, a number of students, mainly those in our senior year groups, who have returned wearing skirts that are both too short and unsuitable for school in that they are too tight and made from stretch material. We referred to this in our ‘Welcome back’ assemblies on the first day of term and we gave students who were inappropriately dressed, a period during which to exercise appropriate responsibility and to show respect for the school’s clearly stated expectations. As we are about to start Week 3, this period has now elapsed. We are, therefore, asking for your support and alerting you that, by Monday 1st October, we expect every student to be compliant with our dress code expectations, and specifically, with our requirements for skirts. A clear skirt-length guide is detailed on our website. Please consult it if you are in any doubt. Earlier this week schools were alerted by the police and the Local Authority to the existence of a short but very disturbing piece of indecent film footage. Internal investigations in a number of local secondary schools support the premise that this has been widely circulated and seen by students across the ages in this area and beyond. We would ask all parents to check their children’s phones as a matter of urgency to ensure that any such material is deleted immediately. Furthermore, we suggest you revisit the phones in a few days to ensure it has not reappeared. We would also remind you that, although initially circulated on Snapchat with the limited time availability, it is possible to retain pictures and messages on applications outside the Snapchat forum. Beyond the obvious emotional repercussions there is also the danger that to circulate such material is illegal. We would reiterate our recommendation that parents regularly monitor/speak to their children regarding their phones and internet usage. Unfortunately, we must highlight again to some of our parents, the need for care and consideration when driving students to school in the morning and collecting them at the end of the day. We again ask our parents not to park on the approach road to our school drive, opposite our entrance and, in particular, not on the roundabout when dropping your children off in the morning. Please respect the rules of the road and other road users and please ensure that your child is able to get out of the car safely. A second request goes to parents who arrive early to collect a son or daughter and who wait on our drive, just in front of our ground floor classrooms at the front of the school: please be aware that if you have music playing loudly in your car whilst waiting, you are likely to disturb the learning of students in these classrooms as the music can clearly be heard. For further information and guidance, please refer to Mr Brand’s letter of 6th October (‘Students’ arrival and departure’) via this link. 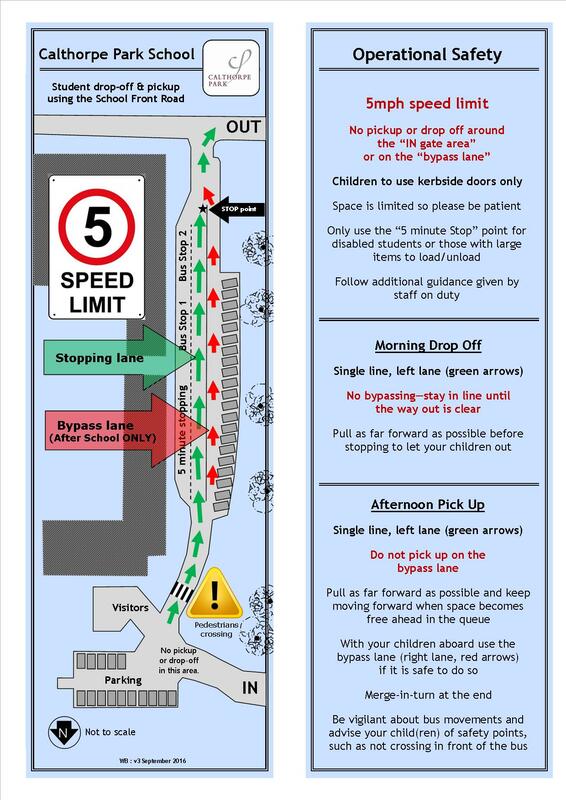 There is also a leaflet giving help on using the lanes. Our blogs are always highly positive. It is never a challenge for us to find something good and celebratory to include in our increasingly irregular thoughts! Unfortunately, this week, we find ourselves compelled to post a Heads’ Message to express some feelings of discontent, indeed of surprised disappointment…..
We had our first INSET afternoon of the year this Tuesday. Students went home at 12.40pm and staff worked to construct their Subject Improvement Plans and to complete the 2016/17 Performance Management cycle. During the afternoon, however, we received 3 communications from members of the public reporting some inconsiderate or careless behaviour from members of our community. A small number of students were seen behaving in an over-excited way in the Hart Shopping Centre and some of our younger students were reported to have displayed lack of care and attention as they crossed roads to return home. One local resident felt the need to contact school to report inconsiderate driving by one of our parents who was en route to collect children at the end of morning school. We are very proud of the usually exemplary conduct of our students and we talk regularly to them about the importance of considerate behaviour, both in school and within the community. Indeed, this is a fundamental expectation of The Calthorpe Way and one that is generally very well met by the vast majority of our young people. Parents, please support us by stressing the need for care and consideration en route to and from school, whatever the time of day. We want all our students to be safe and we want them all, each and every one, to live up to, and embody through their actions, the phrase that we use so often – ‘our students are Calthorpe Park School’s best ambassadors’. Parents will know, from our school calendar and the reminder notice that featured on our website last week, that we have an afternoon school closure for Staff Training (INSET) on Tuesday 20th June. In addition to the weekly programme of twilight (post-3pm) staff training and meetings that we operate throughout the year, we, as do all local Authority schools, have the equivalent of 5 days per year of school closure for staff training purposes. We know that parents often wonder what the staff will be doing when we have our annual INSET sessions. Details of Tuesday’s programme are featured below, for your information. We will be working on developing our curriculum and assessment practice in line with the requirements of the new national curriculum and the very significant changes that are currently taking place to our country’s GCSE exam system. In the morning, our Middle Leaders (mainly our Heads of Subject departments) will be using time gained during Year 11 examinations to consider wider curriculum reform and to work together to explore how the curriculum we offer at Calthorpe Park is one fit to support our continuing drive to ensure outstanding teaching and learning, excellent progress through the learning journey and the highest possible success for all students at the end of it, in GCSE examinations. In the afternoon, all staff will join the conference to further consider and develop strategies to translate theory into action. From 3pm to 5 pm, all staff will be working in their departmental teams to develop specific plans for action within their subject. We hope that the above will provide a useful insight into how training time is used at CPS and we will be publishing our plans for our Staff Training Programme 2017/18 prior to the start of the next academic year. Look out for our programme for how we will use the first two days of the Autumn Term for staff training prior to students’ return to school on Wednesday 6th September 2017. We have had 3 bicycles taken from the bike-shed this week. Fortunately, one of the three was later found to have been ‘borrowed’ by a friend, and was returned to its owner. Whilst we have CCTV in the vicinity of the bike-sheds this is not a fool-proof facility. In both cases of potential theft, bikes were left unlocked by their owners. If your son/daughter wishes to leave their bicycle on site, please do encourage them to ensure that it is locked. You will be aware that Ofsted conducted an inspection of our school on 28th March 2017. We have now received the report which, because it was a single day ‘Short Inspection’, is written as a letter to us both, but is, of course, a reflection of the work of the whole school community. We are delighted to say that we continue to be judged a good school. In light of changes to the inspection process and Ofsted’s ever-higher expectations of schools, this is a grading with which we are very pleased. You have a very clear vision for the school and are confident that the school will build on its strengths as it continues on its journey to outstanding. Together, with your senior leadership team, you have accurately, honestly and thoughtfully analysed every facet of the school’s performance. Consequently, you are knowledgeable about what needs to be done to improve the school further. Pupils appreciate the strong set of values and clear expectations on which your school is based. The ‘Calthorpe Way’, explained articulately and confidently by pupils, underpins the school’s work. You have created a very calm, purposeful and orderly school with the ‘business of learning’ at its heart, and pupils thrive as a result. Senior pupils spoke about ‘our staff’, reflecting both the respect in which they hold them, but also the strength of the ‘togetherness’ that they value. Your pupils are keen to learn, ambitious for their school, and unfailingly polite and courteous. Low-level disruption has been largely eradicated. Safeguarding: Leaders are relentless in pursuing excellence in this area and there is a clear commitment to (it) evident in the school. Disadvantaged students: The work being undertaken to improve outcomes for these pupils is a real strength of the school. We are happy that Ofsted has acknowledged so many of the strengths of our school; that it has recognised a hallmark of our community to be the very strong working partnership between staff, students and parents and has highlighted the sense of pride and ‘shared ownership of their school’ that staff and students speak of. We would like to take this opportunity to thank our excellent team of staff and governors for their tireless work and commitment; our mature, positive and articulate students who are such a wonderful advert for Calthorpe Park School and to you, our parents, for your continuing support and the many fantastic (and humbling!) comments you sent through in response to the Ofsted Questionnaire. Now that the new Leisure Centre has opened, the situation around students being dropped off or picked up in the old Leisure Centre car park becomes problematic. After Easter there will only be one point of entry and exit and the area will be used exclusively by School staff and some contractors. To avoid congestion and possible accidents, we would ask that parents do not use the old Leisure Centre car park for the purpose of dropping off or collecting students. It should also be noted that the new Leisure Centre car park has a 3 hour waiting limit with a fine imposed by a management company should this period be exceeded. After many months of conjecture and behind the scenes activity, we are delighted to be able to report that the building of a new sports hall for the school’s use will commence sometime during this year. This new facility will be built on the car park that currently sits behind the Hart Leisure Centre. Once completed and available for use, the current facility will be demolished. During the building project the school will retain access to the sports hall in the old Hart Leisure Centre building. Details of these arrangements are still to be confirmed. Rest assured the school curriculum will not be adversely impacted. The new Leisure Centre will open on 1 April, and after this date it will be almost impossible to use the old centre’s car park to drop off or pick up students. We would ask for your co-operation in seeking an alternative way of working. The new building will be another exciting development and a wonderful facility for the Calthorpe community. The Department for Education has recently advised all Local Authorities of an amendment to legislation that requires them to write to parents of all Year 9 students advising them of a University Technical College (UTC) which is within travelling distance and to which they may wish to apply. Reasonable travelling distance for UTC admissions has been set at around 20 miles or an hour travelling time. We have, therefore, been asked to make you aware of a letter from Hampshire County Council - click here for the link. All students to make the best progress of which they are capable. We will place particular focus on ensuring that optimum progress is made by our students with Additional Needs and those who are eligible for Pupil Premium funding, as some students in these groups have progressed less rapidly in the past. Nationally, there is a progress and achievement gap between boys and girls, as reflected in outcomes at GCSE. At CPS, this gap has been considerably closed over the past few years and, in 2016, our boys, particularly, performed exceptionally well. We are determined to ensure that this improvement is maintained and built upon in the future, so boys’ learning will also be a key focus for us in 2017. So that all teachers precisely and accurately identify areas for improvement in students’ work and use this knowledge to inform their teaching. So that information on learning and progress that is fed back to students and parents is accurate and benchmarked against realistic expectations. As we no longer have nationally agreed NC levels to guide us, further development of our internal assessment systems and practice is a priority for us, as it is for most schools. The attendance of most students at CPS is at least good and regular attendance is a critical ingredient of great learning. A small number of our students do not, however, attend as regularly as they need to and this impacts on their progress and well-being. Our third improvement priority is to support those students whose attendance is below target, to attend more regularly. Diagnostic, individualised feedback supports good learning. We have done much work to improve this aspect of our practice over the past 3 years and some subjects are now outstanding in this area. Our remit in 2017 is to further develop this focus so ensuring consistently excellent practice across all subject areas. Developing outstanding Year 6 to 7 curricular transition. This priority is about further developing a ‘can do’ culture at CPS, underpinned by resilience and cementing an implicit belief that effort is the key to success, irrespective of personal attributes or starting point. Our seventh key priority focus is on developing outstanding leadership at all levels, building leadership capacity and planning for succession across all aspects and levels of the school. And finally, it is our moral purpose to ensure that the young people in our care are supported to thrive and that their welfare is safeguarded at all times. Consequently, our final Key Priority for 2017 is to build continuously on the processes and systems in place for safeguarding our students and for promoting their outstanding behaviour. We hope that this brief resume of our improvement priorities for 2017 will be useful and will continue to provide, in an open and transparent way, information to support the partnership with our parents that we value so highly. We are aware of the ‘Calthorpe Park School Parents’ Facebook Page’ and we know that parents often use it informally to ask other parents for information when they are unsure about school policy, practice or procedure. Please be aware that this Facebook page is not one that has any formal link with our school and we know that information that is exchanged between parents who use it can be, on occasion, not entirely accurate. We hope that our website and our weekly communication to parents keep you fully informed. 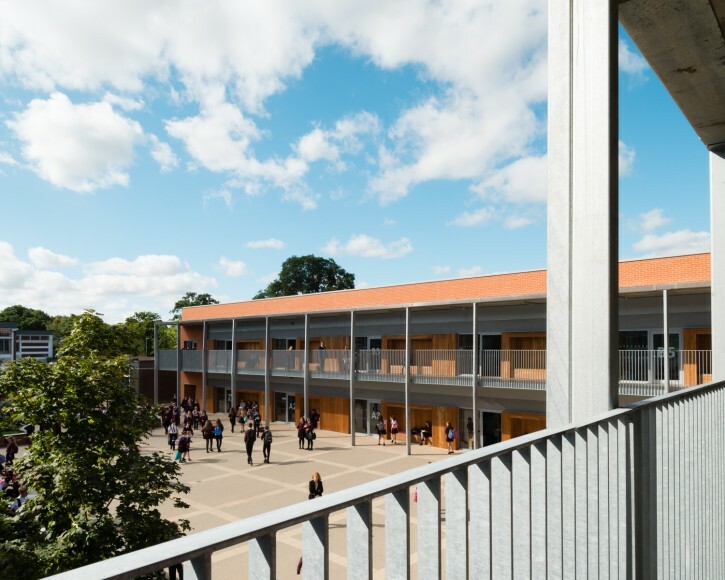 However, should you need clarification or further information, please do contact school directly, either by telephone (01252 613483), via the online form or by email; the address of all key staff is available via our website (‘Contact Us’ tab). Many parents will be aware that we, as Heads, strive to be easily accessible to our parents and, should you have a matter that you wish to bring to our attention, we would ask that you contact us directly, via email, or via our PA, Mrs Haynes. We were also wondering whether our parents would welcome a monthly appointment-based Head Teachers’ Clinic, operating after school, and where we would be available to discuss, face-to-face, any matters that you might wish to raise with us?